Thank you for the opportunity to introduce draft decision E/2017/L.35, entitled “Application of the non-governmental organization Fondation Alkarama for consultative status with the Economic and Social Council”. The decision proposes that the Economic and Social Council decide not to grant special consultative status to the NGO “Fondation Alkarama”. Civil society participation is an important aspect of the United Nations because it contributes to better policymaking, governance processes, and greater general awareness. This is why, under Article 71 of the UN Charter, the ECOSOC may provide suitable arrangements for consultation with non-governmental organizations. However, in order to preserve the integrity and purposes of the ECOSOC, the grant of consultative status must come with corresponding responsibilities, not least of which is the responsibility to operate in accordance with the principles of the UN Charter and ECOSOC Resolution 1996/31. The United Arab Emirates is therefore deeply concerned that Fondation Alkarama has been recommended for special consultative status. Because of its clear connections to terrorism, the Government of the United Arab Emirates has designated Alkarama as a terrorist organization under Federal Law No. 7 of 2014 on Combatting Terrorism Offences. The UN sanctions committee has also designated the founder of Alkarama, Abd al-Rahman bin Umayr al-Nu’aymi, as a financier and facilitator of terrorism. Alkarama has not attempted to distance itself from al-Nu’aymi. 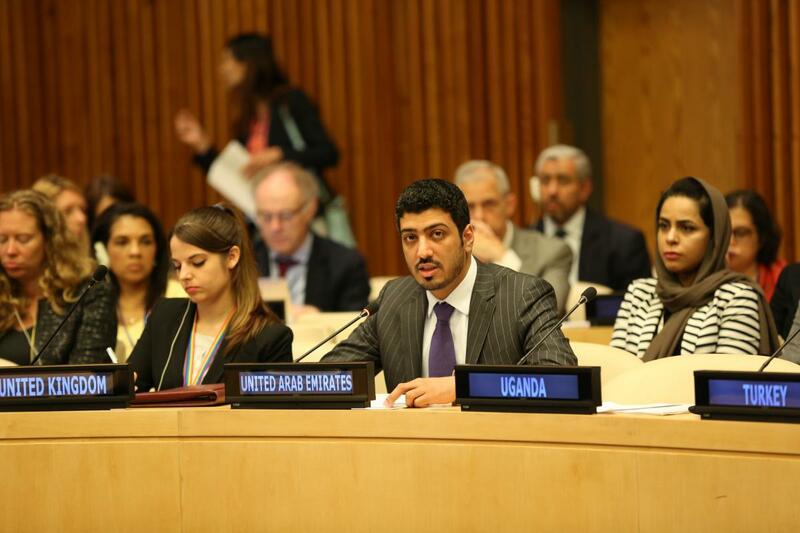 The United Arab Emirates understands that Alkarama withdrew a previous application for special consultative status following questions from the ECOSOC Committee on NGOs about its connections to terrorism, and during the current application process, Alkarama claimed those questions were politically motivated. The United Arab Emirates is concerned that Alkarama has not been forthright in its current application for special consultative status, and therefore the Committee on NGOs may not have been able to consider closely the serious issues which affect Alkarama’s application for special consultative status. Excellencies, colleagues, while a diversity of voices remains a bedrock principal of both the UN and its engagement with civil society, Alkarama’s connections to terrorism are incompatible with the UN Charter and ECOSOC Resolution 1996/31. We do not believe that such organizations should be granted special consultative status at ECOSOC, and we respectfully request ECOSOC Members to support the decision, and we hope that the decision is made by consensus.